Security has been a growing concern for most large organizations, especially financial and government institutions, as security breaches in the socio-technical systems they depend on are costing billions. A major reason for these breaches is that socio-technical systems are designed in a piecemeal rather than a holistic fashion that leaves parts of a system vulnerable. To tackle this problem, we propose a three-layer security analysis framework for socio-technical systems involving business processes, applications and physical infrastructure. In our proposal, global security requirements lead to local security requirements that cut across layers and upper-layer security analysis influences analysis at lower layers. 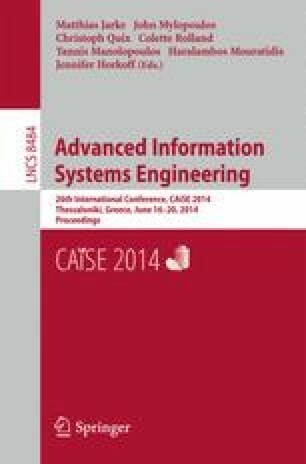 Moreover, we propose a set of analytical methods and a systematic process that together drive security requirements analysis throughout the three-layer framework. Our proposal supports analysts who are not security experts by defining transformation rules that guide the corresponding analysis. We use a smart grid example to illustrate our approach.